Innovation and Top Income Inequality, Aghion, P, Akcigit, U, Bergeaud, A, Blundell, R, and D. Hemous (2019), Review of Economic Studies, lead article. The Inverted-U Relationship Between Credit Access and Productivity Growth, Aghion, P, Bergeaud, A, Cette, G, Lecat, R and H. Maghin (2019), Coase Lecture, forthcoming in Economica. Monetary Policy, Product Market Competition, and Growth, Aghion, P, Farhi, E, and E. Kharroubi (2019), Coase Lecture, forthcoming in Economica. 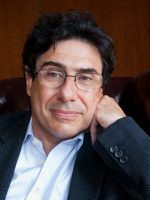 Missing Growth from Creative Destruction, Aghion, P, Bergeaud, A, Boppart, T, Klenow, P, and H. Li (2019), forthcoming in the American Economic Review. Creative Destruction and Subjective Well Being, Aghion, P, Akcigit, U, Deaton, A, and A. Roulet (2016), American Economic Review.